Here’s an official Bolt press picture from Chevy. 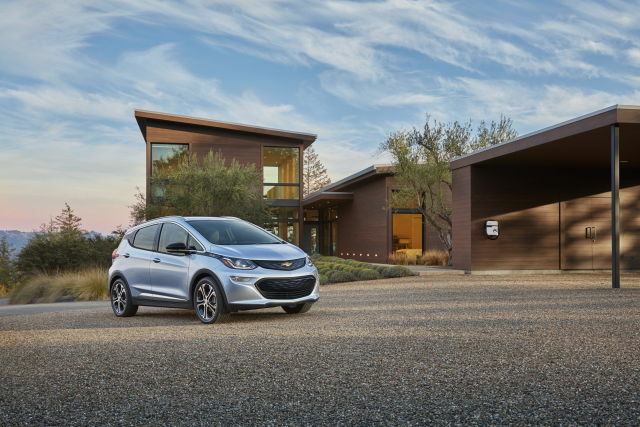 On Friday, General Motors wrote to the Trump Administration in support of a national zero-emissions vehicle (ZEV) program, which would require seven percent of automakers’ sales to be zero-emissions by 2021. That percentage would increase by two percent per year until reaching 25 percent in 2030. The proposal came in the form of a comment to the Environmental Protection Agency (EPA), which has put forth its own set of rules to rollback auto efficiency standards signed into law by the Obama Administration. GM is a member of the Alliance of Automobile Manufacturers, which has been a proponent of Trump’s changes to the fuel efficiency standards designed by Obama’s EPA.